Happy Valentines Day my loves!!!! I hope everyone is having an a great day (single or in a relationship!) I filmed a Valentines Day tutorial about a week ago and finally uploaded it! 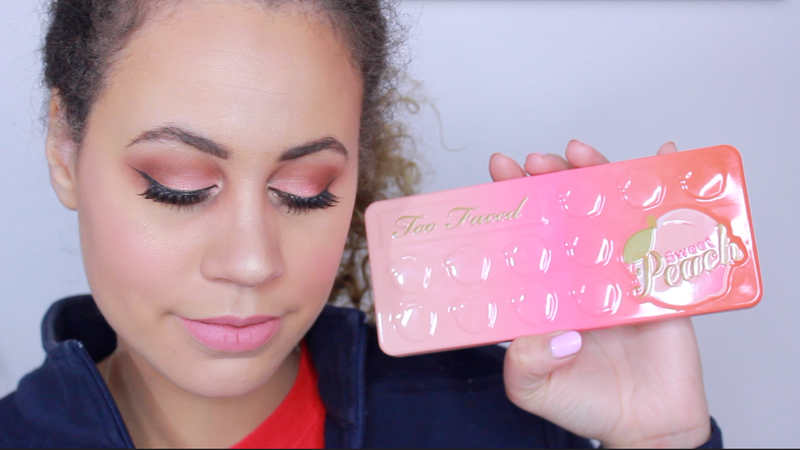 I knew I wanted to use the Too Faced Peach Palette and I wanted to do a Valentines inspired look. I thought it would be perfect! I ended up really loving this look! I was really happy with it! I love doing a cut crease that isn't too harsh! Just enough to give the look color. This pallet is gorgeous I love the colors!